I put on the cloth gloves the wrong way round, but changed that later. Put on the gloves properly now. After put on once, they have a looser fit and it’s no chore anymore, although with the proper technique it only takes 5 minutes per glove. Somehow SS’s glove fingers are always too short. All zippers are working. On the right shoulder is no velcro option. It’s supposed to be pockets, if my research is correct, but SS didn’t apply zippers. You also can’t open them. GSG-9 boots, which I never took such a close look at as now and it has great detail. Despite Soldier Story’s Glue-Affairs on boots, they are still doing some of the best. It occured to me now several times, that the BIG6 mannequin has quite a big head and can’t fit every helmet. If they should ever consider doing an updated version, please with a slightly smaller head, thighs for holsters and a bit of a biceps for T-shirt sleeves. The helmet mount doesn’t damage the plastic of the helmet where they are clinging to it. I find the MICH highly ugly and blunt, but the helmet mount gives it a completely different look. Headset is very stable and has a perfect fit, due to the metal bail on the ear pieces. 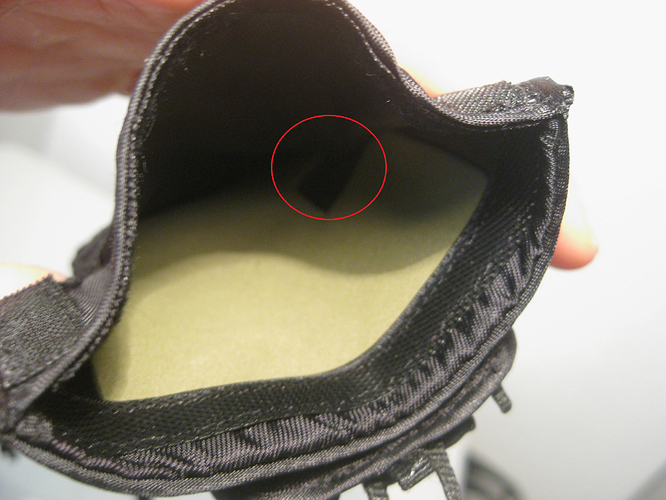 The loading port can be opened and is kind of spring operated. There is at least a resistance that moves the flap back into this position. My Harris bipod is really messed up though. Totally not symmetrical. I have nothing much to add. It’s my favorite boxed figure at the moment and highly underrated in my opinion. 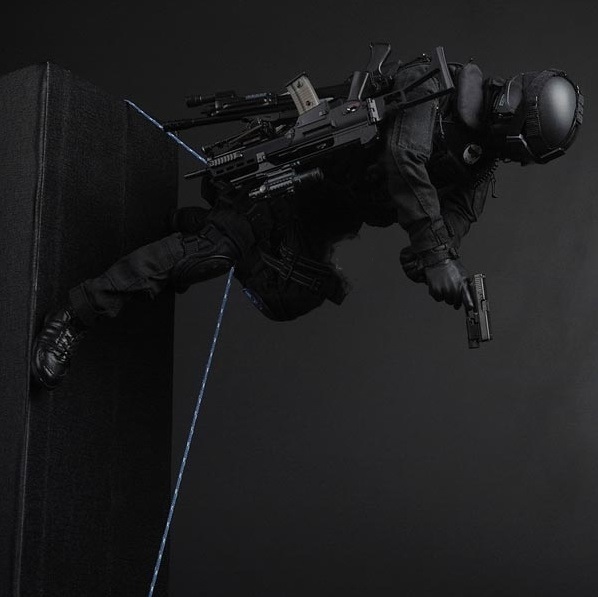 The set provides great weapons and attachments, the gear matches perfectly, the figure is not overloaded and details like the rope bag with rope make it really unique. People mostly preferred the DAM SDUs. I never touched them as a police collector and only have the Soldier Story SDUs at home, which seem to have better detail and differ a lot from each other (SS096 vs SS097 and 78026 vs 78034). But DAM vs SS is another story. Nice review, I have this figure still boxed up. I tried Googling about the boot sole - the section that looks like four dice, all fours - got nothing. It’s definitely on the real boots. Thanks, this figure is definitely worth putting together one day. Especially considering you can pose it with the rope as well, like this.